“What sort of quality are we seeking here?” That’s the question marketing hall-of-famer Seth Godin contends is most important when doing work. Where some see quality as meeting specifications, others define quality by deluxeness, or even right effort – how much you gave of your abilities to create something. When it comes to architectural services, most firms strive to achieve a combination of all three of these qualitative aspects – but few define a process to address both the philosophical and tactical components of reaching that goal. 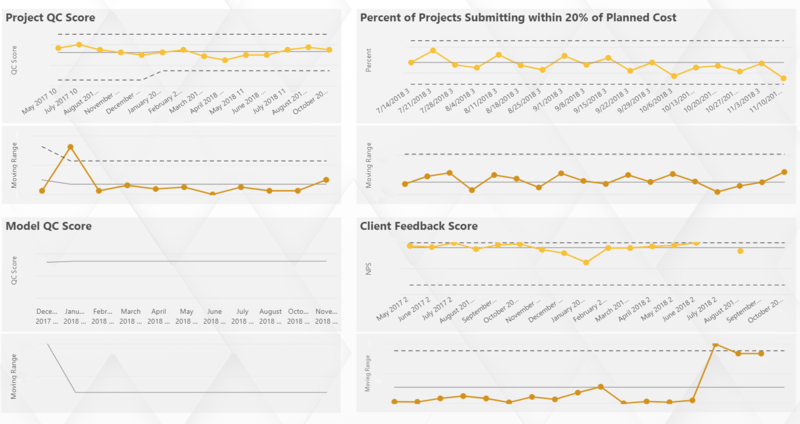 Array leveraged its Lean approach to design a multi-perspective methodology to do just that, and in creating that system of measurement, the organization found a better way to understand team performance trends. Quality Assurance (QA) and/or Quality Control (QC) play significant roles in helping architecture firms drive value clients and construction partners. At some firms, QC might mean peer review, or a second set of eyes offering another opinion on a set of drawings. The objective, of course, is to deliver a good quality set of drawings and mitigate risk. Array’s QC process may be unique. Not only do we have a defined QC process that’s led by a professional whose sole responsibility is QC, but the leadership team has chosen to appoint a QA Manager to provide support throughout each project phase in addition to the customary QC reviews that occur at the end of each project phase. 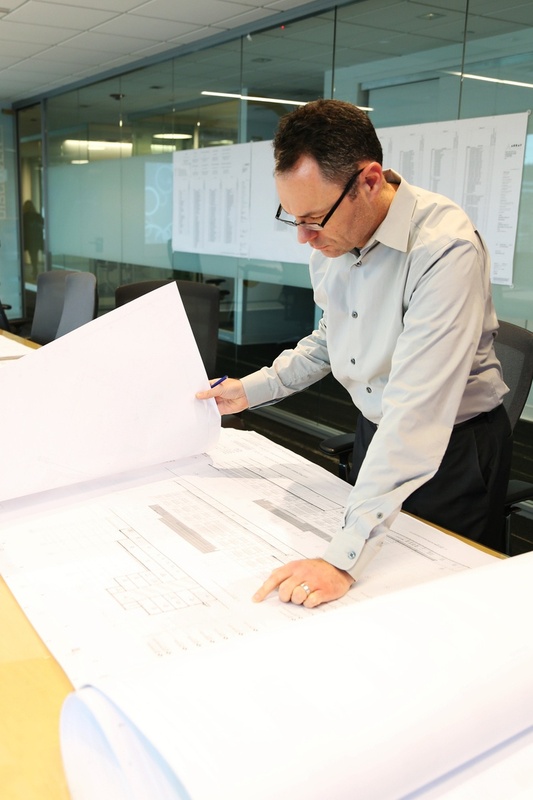 We took a look at this process from a Lean perspective and thought, “Why don’t we interject ourselves throughout the project instead of waiting until the end?” With this in mind, we selected some of the most experienced architects at the firm to perform QA at checkpoints throughout each phase. Eliminating the need to batch all the work at the end of each phase allows Array to identify problems proactively, reducing the need for rework or last-minute problem-solving. That journey resulted in the creation of a True North KPI dashboard where leadership can observe team performance in these areas in real time. After data from multiple sources across the organization is integrated, trends are presented visually. The result is the ability to identify issues proactively – including those relating to QC scores and other quality indicators – to direct resources to the appropriate projects and teams. Today, Array’s leadership team huddles every week to review the True North KPI dashboard. 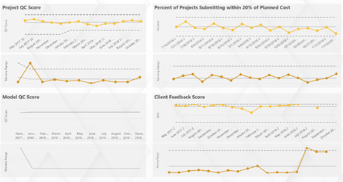 The QC data, within the context of other indicators, allows the team to immediately get an idea of how each project team is performing within the organization overall, or under specific circumstances. Additionally, leadership can assess project performance within a specific range of expected cost, client satisfaction, strategic wins, and resource planning. The result is achieving a frame of reference to anchor continuous improvement initiatives at Array. As Array continues to grow, the leadership team plans to use the cumulative value of the data they’re collecting to shape where resources are focused. Organizations across all industries who are interested in refining their ability to measure team performance and evaluating quality more holistically should begin with identifying their current focus and reshaping it to address the KPIs they’d like to measure. Need help getting started? Contact Array Advisors to learn about transformation services.